Nina has written non-fiction for magazines, corporations and politicians and is the author of three editions of Nina’s North Shore Guide: Big Lake, Big Woods, Big Fun, University of Minnesota Press. Whether providing facts about well-known sites or presenting discoveries exciting even for the seasoned North Shore explorer, this new edition of Nina's North Shore Guide covers the Lake Superior area through all seasons and for all budgets. 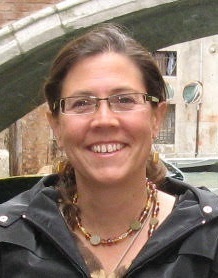 Nina A. Simonowicz owns a tourism marketing company in Grand Marais, Minnesota. Nina grew up in an extended family of storytellers, yarn spinners, raconteurs. In her first foray into fiction, she integrates oral story telling's engagement, dialogue and character foibles while using the breadth and depth of a novel to explore belonging versus independence, religion versus faith, and reality versus appearance. The untitled work centers around Julia Valleriani, a young woman in search of familial autonomy who finds a sunken minesweeper in Lake Superior. She has no idea the path will include her grandfather, a French dwarf, her new boyfriend, her godfather, and possibly, her brother. It all takes place in the midst of an extended Italian-American Catholic family, so you know the food will be good.